While you might not recognize his name straight away, trust me when I say you’ve probably seen several of his movies, especially if you’ve ever picked up a movie with a cover that features a Ninja wearing a headband that says Ninja on it! 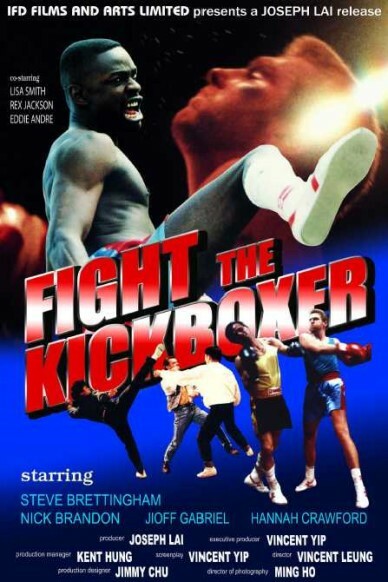 Or a film that’s called Robo Kickboxer or a Kickboxer King. Joseph Lai (Lai Sun-lan) is the head of the Hong Kong based Production & Distribution Company IFD Films & Arts. Yes, the company that gave the world all those Ninja movies starring Richard Harrison and various ‘gwailo’ actors and martial artists. Lai also gave many Hong Kong action directors including Phillip Ko (Ko Fei), Paul Wong (Wong Kwan) and Ridley Tsui (Tsui Po-wah) their first shots at directing movies. He also gave western martial arts actors including Bruce Fontaine, Kenn Goodman, Steve Brettingham, Michael Miller, Wayne Archer and even myself the opportunity to play leading roles in his movies. Lai, currently the Vice Chairman of the Hong Kong Movie Producers Association, is fully aware of the limitations of his movies; he doesn’t regard his movies as high art and doesn’t expect other people to. But as anyone who worked on any of his movies will admit, they were great fun, and they’re very entertaining to watch. Mike Leeder: Mr. Lai, thanks for talking to me. How did you first get involved in the film industry? Joseph Lai: I’ve always been interested in movies, since I was a little kid, I used to watch all the old black & white Cantonese & Mandarin movies. As I got older and went to college, I got more and more interested in drama. I studied all aspects of theatre and drama, from performance to theory, front stage and back stage, all of which has served me well over the years. As for getting into the film industry, it’s thanks to my sister Terry Lai, who owns Intercontinental Film Distributors (one of the largest independent distributors of non Chinese movies in Hong Kong). They were starting to make the move into producing their own films, shot in Hong Kong but with English dialogue and featuring Western casts aimed for the international market. They hired American actors like Chris Mitchum (Fatal Score, Lethal Hunter) for these films, and brought me in as an assistant director initially, but I also helped with translating, scriptwriting and many other things. It was hard work, but a great opportunity to learn everything I needed for the film industry. In about 1973, we also started to buy European films for distribution in Hong Kong, Taiwan, Thailand, the Philippines, Indonesia and so on. We did quite well with these films, but I also began to realize there was a gap in the market that we could fill. At this point there were very few Hong Kong companies that did much in the way of international distribution, and I knew that these films had a lot of potential for distribution in Europe, the Middle East, Africa and South America. IFD was very much of the first Hong Kong companies to get proper worldwide distribution for their movies. Why do you think that was? I think that too many companies were short-sighted, they were concentrating only on the local market and thought that international distribution was either an impossible dream, or just too much hassle. In fact, IFD was the first Hong Kong Production Company to attend film markets likes Cannes, MIFFED and the American Film Market (AFM). IFD was the first Hong Kong company to become an AFM member, Golden Harvest had become a member earlier but that was through registering itself in America, but we were the first Hong Kong registered company to become a member. At that time the AFM had very strange policies, such as your membership was only allowed if you were making English language films, and at that time we were the only company in HK making English language movies. We couldn’t compete in Hong Kong with companies like Golden Harvest and the Shaw Brothers. They owned their own cinema chains throughout the territory, but we were the first company to really get good distribution deals overseas, soon followed by co-productions. One of first major co-production partners was Korea, they really liked Chinese Kung Fu action, and we found that it was cheaper to shoot there than in Hong Kong. We raised financing and cast some of the most popular Kung Fu actors at the time including Chen Hsing, Carter Wong and this Korean guy, Casanova Wong, in our very first production there, The Magnificent. At first we were just making Kung Fu movies, and I began to realize that only having Mandarin dialogue versions with subtitles wasn’t enough, some countries wouldn’t buy subtitled movies. So we started dubbing our films into English, I think that was another first for our company, to start offering English language versions of all our movies. The way we looked at it was, that there are many more people around the world who speak English, and would rather hear dialogue than read it. So we hired a lot of British people from the Radio and Television companies to come and work for us, ‘moonlighting’ as dubbers and doing the English dialogue for us. Looking back now, I can say that we could have done better sometimes, but at the time and with very limited budgets, I think we did a good job, and our films sold very well. Why do you think that your films sold so well in the international market, when even now there are so many ‘prestigious’ Hong Kong movies have never officially been released in the West? I think that because we were realistic when it came to selling our movies, we didn’t ask for outrageous prices or try to impose restrictions on companies. If you wanted to buy only the video rights for our movies for your country, that was not a problem to us. Some Hong Kong companies, would insist that if you bought their films, the film would have to get at least a limited theatrical release first and then after so many months it could be released on video. You can’t do that in every country or with every company, that can affect your relationship with buyers if you are imposing restrictions on them like that. We also built lasting relationships with distributors, they would come back to us time and time again for product. Our films might not have been the best films of all time, but people knew what they were getting with our films. We delivered on everything we offered them, so distributors came back for more. Now initially IFD comprised yourself, Thomas Tang and Godfrey Ho, who was pretty much your director for all seasons. How did the three of you come to work together? I knew Thomas from college, so I brought him into the business first and we were working together and then Godfrey came along, he was this very young enthusiastic director at the time. He’d worked for companies like Shaw Brothers and for other independent companies and producers. He came to us at IFD, and we worked as a team for several years on a lot of different movies and projects, before eventually Thomas and Godfrey left and set up their own companies, with Thomas setting up Filmmark and Godfrey continuing to do some work for us both before forming his own company. Godfrey has done so many projects, he is teaching Film now at Hong Kong Polytechnic! IFD was the first company to really take advantage of the marketability of those hooded assassins, the Ninja, after the first Cannon Ninja films began to do well, and the Ninja would go on to play an important role for your company and its filmography. How do you know that? You know too much! (Laughing) I know we made so many different Ninja movies, ‘Ninja Terminator’, “Ninja Squad’, ‘Ninja Hunt’, ‘Ninja this’ and ‘Ninja That’..I really can’t remember all of them. When I traveled overseas I would always check out the cinemas and video shops in Europe and America to see what the audiences were responding to…I saw this movie by Cannon Films, called ‘Enter the Ninja’ And I didn’t really think it was very good, the action wasn’t special but the audience really liked it and it did very well for them. I thought that we could make movies like this very easily, Hong Kong is the best place for Kung Fu or martial arts action movie making, we know how to shoot martial arts action very well. We can always double someone for special moves, it’s even easier if they are wearing a mask! We can double them for everything! I came back to Hong Kong and told Godfrey Ho that we were going to make Ninja movies, and he didn’t really know what ‘Ninja’ were at that time. We worked out we could shoot the fight scenes with really skilled fighters and stuntmen, and then shot pick ups with the real actors, it would be easier that way. Ninjas wearing hoods, it really made it easier to shoot spectacular action and then have an actor pop up for dialogue and close ups. Now the man who became immediately identifiable with your Ninja movies was Richard Harrison, a former Spaghetti western actor, he’d previously worked in Hong Kong on the Shaw Brothers ‘Marco Polo’ and ‘Boxer Rebellion’ movies. You used him as the ‘Hollywood’ star of such films as ‘Ninja Terminator’, ‘Ninja Hunt’, ‘Ninja Squad’, ‘Ninja Silent Assassin’ and so many movies. When you first hired him, did he have any idea of how many movies he would be starring in? I don’t think he knows exactly how many movies we would end up using him for. (Laughing) It’s even hard for me to say just how many movies he appeared in for us, we did everything from ‘Ninja Thunderbolt’, ‘Ninja Operation’, ‘Ninja Dragon’, ‘Ninja this’ & ‘Ninja that’. At the time, the market was so strong, the demand for action and martial arts and especially Ninja movies was almost too much. Even though we could work fast, we couldn’t supply enough movies to met demands and that was when we began thinking of some of movies we already had in our vaults, or movies from countries like Korea and Thailand for instance, could we update or change them by editing new footage into them by adding Ninjas or western actors, so we could market them internationally. Back then some buyers didn’t want movies with all Chinese or all Asian leads, they wanted movies with Western leading actors. So we bought a lot of Korean and Thai movies and began to redevelop them, try and package them so we could sell them internationally by changing certain ideas and adding new elements. Richard Harrison wasn’t a really big star, but he was marketable, distributors knew who he was and said he was recognisable. Godfrey had worked with him on the movie for Shaw Brothers and had been able to keep a little bit of contact with him. We got in touch with him and invited him to come to Hong Kong and work on some movies for us. I think he enjoyed being in Hong Kong, and seemed happy to stay longer and do more movies for us. At that time, we had so many movies we were trying to remarket that one of my production team suggested that we should use Richard for all of them. He was very easygoing, he didn’t charge us too much money and he was in Hong Kong, so why don’t we use him as much as we can? And we did! He would shoot a couple of days a week for each movie, I think we did at least 20 movies with him this way. But he knew what we were doing, he might not know the exact number of movies we released that feature him, but he knew that is what we were doing, we were resourceful, we only had limited budgets. Your movies might never be classified as ‘high art’ but they’re always entertaining, even if they can sometimes be hard to follow, with various subplots etc. I remember watching Golden Harvest’s ‘Hot War’ movie a few years ago, and thinking that while it had a big budget and a big name cast. The film came across like an approximation of an IFD movie, but one that took itself far too seriously and wasn’t half as enjoyable as many of your movies. We have never said that our films are the best, that our films are the biggest and most epic movies of all time. But our films have always delivered on much of what they promise. We make our films for the audience. I believe that film can be an art form at times, but not every film, only a limited number can be regarded as art. It’s called the film industry, you have to provide the product that the audience and the distributors want in order to survive. You might make the most thought provoking, incredible movie of all time, but nobody goes to see it. We roll with the audience, they want kung fu, we’ll give them kung fu, they want Ninja’s, we’ll give them Ninjas! They want Kickboxing a few years later, we turned to making Kickboxing movies. Why? Because that’s what the audience wanted. Action is a universal language, drama is much harder to sell internationally. A lot of our audience isn’t really there for anything but the action, they don’t want the story to get in the way of the action. The buyers from the Philippines & Korea, you know how they used to be, they would time the action sequences, the gaps in between the action, they knew that the audience wanted to see action! Our films have probably sold to many more territories than a lot of other Hong Kong companies films have done. The films were warmly received by the audience, and especially by the distributors. Now you also gave a lot of stuntmen and action actors such as Phillip Ko, Paul Wong, Ridley Tsui, and Hung Yan-yan etc their first chances to officially action choreograph and direct, working for IFD. I think we were the first company to give Philip Ko the chance to direct. He had done a lot of 2nd unit or action unit work for companies, choreographing the action scenes and we gave him the chance to direct dramatic scenes too. It was the same thing with Tsui Po-wah (Ridley Tsui), he had been doing some work for us as a stuntman and action performer in some of our movies, I felt that he had a lot of skill as a stuntman and fight choreographer, but that he would also be able to handle directing dramatic scenes. I told him if you want to be a real director, you must do more than just action. Now the demand for ‘Ninja’ movies changed after a certain Jean-Claude Van Damme burst onto the market with ‘Bloodsport’ & ‘Kickboxer’, and following the success of those movies. You also started making kickboxing movies yourself. Yes, those two Van Damme movies did very well internationally. And several distributors started asking us if we had any kickboxing movies for them. It was very easy for us to make this kind of movie, so we put down our Ninja weapons and picked up some boxing gloves for these kind of films. 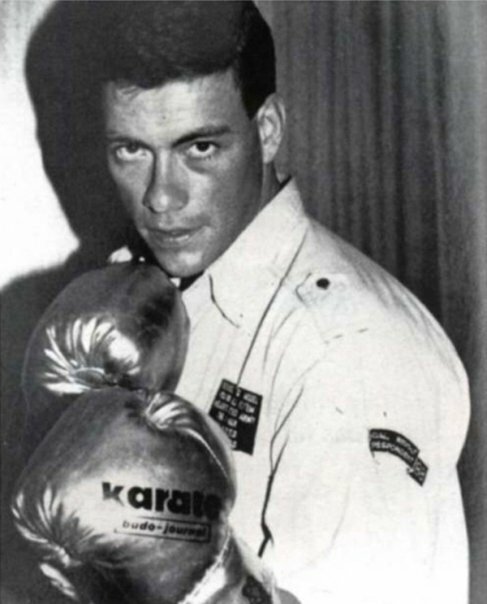 We started hiring many of the Western martial artists and actors who were in Hong Kong at the time, I think a lot of them were your friends, people like Bruce Fontaine, Kenn Goodman, Nick Brandon, Steve Brettingham etc. We hired them to come in and work on our movies as the leading actors, and filmed new footage with them. We built a boxing ring at our studio and started making these kind of movies. I remember shortly after I first arrived in Hong Kong, I visited the old IFD offices in the Garley building on Nathan Road, so I could drop off my information and Bruce Fontaine (‘Kickboxer King’, ‘Operation Condor’) was there and he showed me a file that contained photographs and resume from a young man, who was named Jean-Claude Van Varenberg when he dropped off his materials to you. Oh yes that’s true! (Laughing) Yes, Van Damme did come to our office many many years ago when he first came to Hong Kong, he was very enthusiastic and hungry to make martial arts movies. He had a good look and very good skills, he offered us the chance to sign him up for some films at a very good price. But at that time we were already deluged with so many projects, we were making so many films and had contractual obligations to various distributors that we had to fulfill. I couldn’t just stop making those movies so I could do films with him. I remember talking to him about this, and saying we would have to think things over and develop the right project for him. I think back then he felt, we should have and could have dropped everything we were doing to start shooting movies with him the next day. So he went away and in Hollywood, through Cannon Films he got to make ‘Bloodsport’ and then ‘Kickboxer’, both of which shot in Hong Kong, and then of course we ended up making movies that were influenced by his films. It’s just the way the world is sometimes. 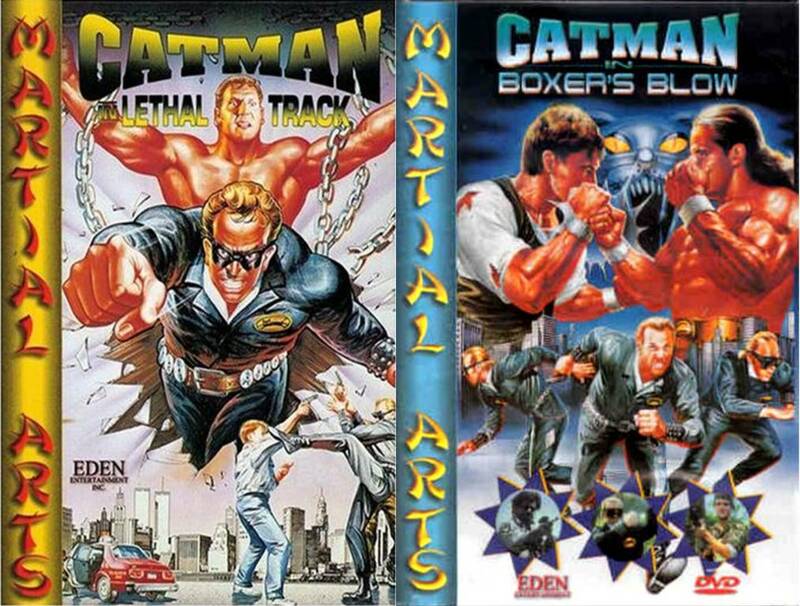 Now in addition to the Kickboxing & Ninja movies, you experimented with gangland dramas like ‘Euro Crossing’, prison movies like ‘Soldier Champion’ and even costumed superheroes in ‘Catman 1 & 2’, and even ‘Robocop’ with ‘Robo-Kickboxer’. We wanted to make more varieties of movies, so we started experimenting within the action movie genre. It’s like for the last few years we have done a lot of cartoon based projects and not so much live action martial arts. The market has changed somewhat, it’s no longer all about Stallone, or Schwarzenegger or Van Damme, now a lot of the time its real actors and they also make action movies. We had to diversify, or we’d go under. How did you find working with the Western martial arts actors and stuntmen you used on so many of these films, people like Bruce Fontaine, Steve Brettingham, Jonathan Isgar, Kenn Goodman, Nick Brandon etc. It’s funny, you could always tell which people were the ones who really wanted to be actors or stunt performers, and the ones who were just doing it for fun. Sometimes we’d be shooting, and people who had been hired for an important role wouldnt turn up as they had made other plans. I preferred working with the professional western action actors. 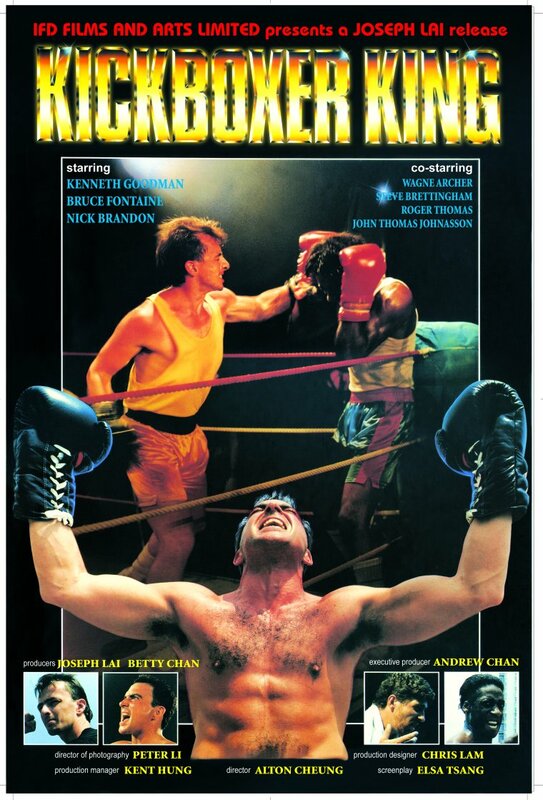 There were two Americans, Bruce Fontaine and Kenn Goodman, they did a lot of work for us at IFD, they did several films in supporting roles for us, and then when we made ‘Kickboxer King’, they played the leading characters, and we also let them do some of the fight choreography for that film. I think it was the first time they really got to do any choreography. Both of them were very talented martial artists, they both went on to work for Jackie Chan on ‘Operation Condor’. But I think they probably got to show more of what they could do action wise in some of our films, then many of the bigger movies they made. There was an Australian actor, Jonathan Isgar? I think that was his name, he did a few movies for us, a couple were action comedies where he played an old man, and he was also the star of the two ‘Catman’ movies we made. (Laughing) No, don’t laugh, those two movies sold very well, people liked the character! He also worked with Jackie Chan! Nick Brandon, he did a few films for us as a supporting actor like ‘Kickboxer King’, and was the lead in ‘Robo Kickboxer’, but I think he liked being behind the scenes more. He was one of the sailors on ‘Dragon: The Bruce Lee Story’, in the opening fight. Another English guy, Steve Brettingham. He also did a lot of movies for us, he played supporting roles and then got to be the lead in a few films. He was in ‘Kickboxer King’, ‘Year of the Kingboxer’, ‘Kickboxer from Hell’, he did a lot of films for us. He was trying to be the new Van Damme, he had a very good physique like a bodybuilder, but he could fight too! But he was funny, he wanted to be in the movies, and especially as the star, but then he was always complaining about them, the fights were too long, the choreography wasn’t right, the supporting cast weren’t good enough for him, he had potential but….. (Laughing) now I know you also did a few movies for us too! Your last major film (at time of interview) was a co-production with Germany, ‘Royal Destiny’. How did this project come about and are you still interested in co-productions for future projects? Ah yes, ‘Royal Destiny’ was our co-production with a German company. It featured a German leading actor and actress, and we supplied local talent including Byron Mann (‘The Corrupter’, ‘Invincible’), and Ridley Tsui for the film, who handled the action scenes and some of the drama. It was interesting having a German crew working side by side with the Hong Kong crew; I think we both learned something from each other. As for future co-productions, if the projects are interesting, there is always an opportunity for co-productions. Do you see IFD moving back into live action movie making? Joseph Lai: Yes, we are looking into it. The trend for realistic action is coming back, people want to see real action, not overly exaggerated or lots of special effects. If it’s a science fiction movie like ‘The Matrix’, people can understand the action being unrealistic, but if you’re doing a movie that’s set in the real world, sometimes if the action is too big, it can pull you out of the movie, you don’t believe in it anymore. Trends move in a circle, and I think IFD will be back on the screen again soon. Win LOST IN HONG KONG on Blu-ray! Whatever! FOG! Chats With AS IF! AN ORAL HISTORY OF CLUELESS Author Jen Chaney!